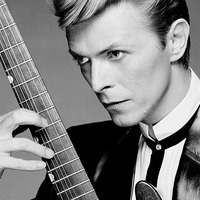 David Bowie hasn't created any original songs yet. In the early morning hours of Tuesday the 8th January, Iso/Columbia Records released a new single by David Bowie titled 'Where Are We Now?' exclusively launching in the iTunes Store in 119 countries. David Bowie's first new album in ten years and his 30th studio recording, THE NEXT DAY is also available as a pre-order on iTunes with a wide release scheduled for March. January the 8th is of course David Bowie's birthday, a timely moment for such a treasure to appear as if out of nowhere.